This as as close to brutal as I get. Love tattooing big chest pieces. 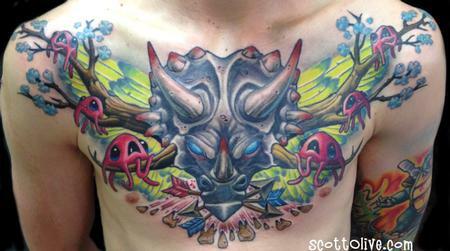 Lots of fun tattooing Dinos as well.